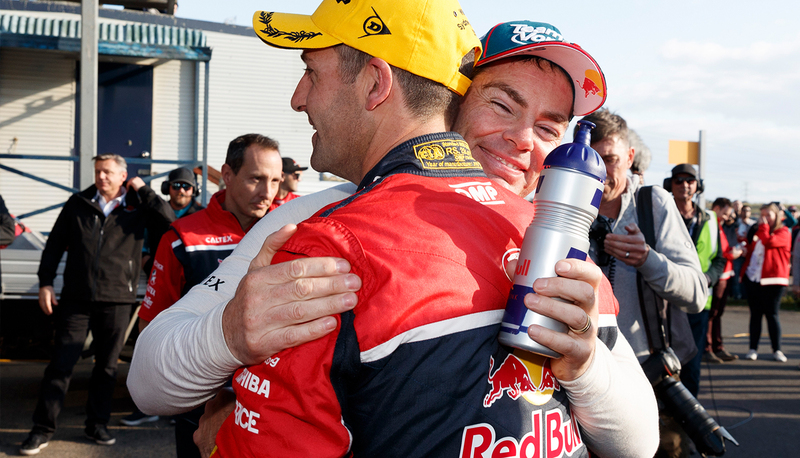 Craig Lowndes has paid tribute to the ‘single-minded’ determination that has seen team-mate Jamie Whincup surpass him at the top of the all-time ATCC/Supercars win tally. 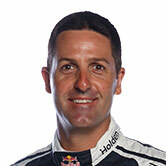 Whincup moved clear in the record books just four races after equalling Lowndes’ long-standing marker of 105. Lowndes had held the record since surpassing Mark Skaife with a 91st win at Barbagallo in 2013. 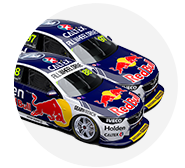 All of Whincup’s 106 wins have come at Triple Eight with Lowndes as his team-mate – a partnership that kicked off in 2006. Today’s success means Whincup holds the category’s three key records of most championships, race wins and pole positions. “It was a matter of time. He deserved it. 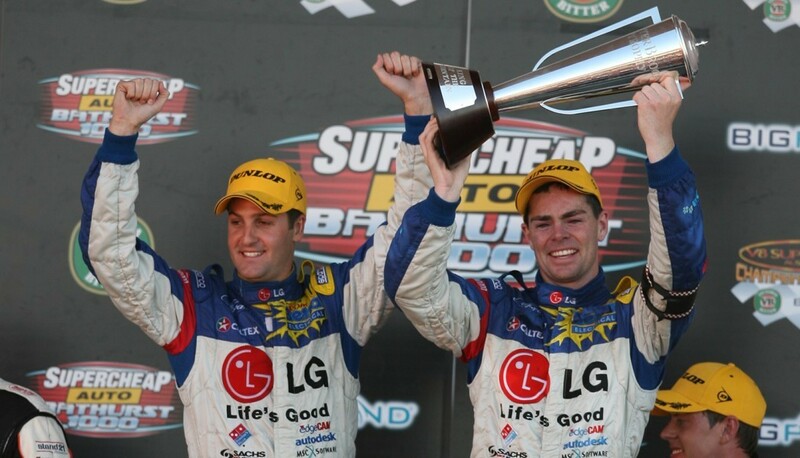 He’s done a fantastic job and it’s a great honour to be known as the all-time winningest,” Lowndes told Supercars.com. “He is one of the greatest drivers in the history of motor racing here in Australia, there’s no doubt about that. “It’s pretty hard to compare with the ‘70s and ‘80s where they didn’t have as many races and with different competition. Lowndes, who has not won a race in over 12 months, paid tribute to Whincup’s ongoing determination to succeed. 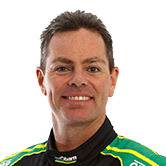 He compared his approach to that of Skaife, who Lowndes drove alongside at the Holden Racing Team from 1998-2000. “Skaife and Jamie are very similar in the way they approach race weekends, their dedication and the way they analyse data, there are a lot of similarities,” he said. “That’s the way he operates. It’s different to me but it works for him and I think he’s recognised that and he’s used it to keep going. “He’s so single-minded, he just wants to focus on driving the car and he’ll do what he needs to do to stay focussed. That’s a credit to him. “At the beginning when he joined Triple Eight he absorbed a lot and took it all in and he soon found a rhythm and level that he likes to operate at. “He’s very hard on himself when he has failures but he’s also very vocal on making sure the team improves where it can. Despite his success, Whincup has failed to attract the sort of adulation from the fan base that Lowndes enjoys. Lowndes believes that is a simple by-product of the single-minded focus that has been key to Whincup’s sustained success. “It’s each to their own. Anyone who knows him well wouldn’t worry about that side of it and it shouldn’t worry him,” said Lowndes. “He operates in a way that he needs to. He wants to focus on winning races and that’s a credit to him. “Maybe he hasn’t embraced the fans as well as others but I don’t think he goes out of his way to annoy them, it’s just the way he operates. Lowndes had a rough run in Race 18, coming home as the last finisher after spending time in the garage while a broken rocker was replaced. The TeamVortex Holden had already endured an unscheduled early pitstop after a pressure sensor falsely reported that he’d had a deflating tyre. Lowndes remains seventh in points ahead of the Wilson Security Sandown 500, where he’ll again be joined by co-driver Steven Richards.